Google Smart Shopping Campaigns – Good or Bad for You? On May 4, 2018 Google announced a new Shopping campaign type called “Goal Optimized Campaigns” rebranded from “Universal Shopping Campaigns”. Recently, for the third time in three months, these campaign types were rebranded again to “Smart Shopping Campaigns”. We discuss what they are, what they claim to do, and why you should think twice before implementing them. What Are Universal / Google Goal Optimized / Smart Shopping Campaigns? Google’s Smart Shopping campaigns are fully automated campaigns have been in development for months now as Google’s “Universal Shopping” campaign beta, but now will be making their way into AdWords Next accounts over the next few weeks. The release of Google’s Smart Shopping Campaigns (SSCs) marks another step towards Google’s focus on automation and machine-learning. 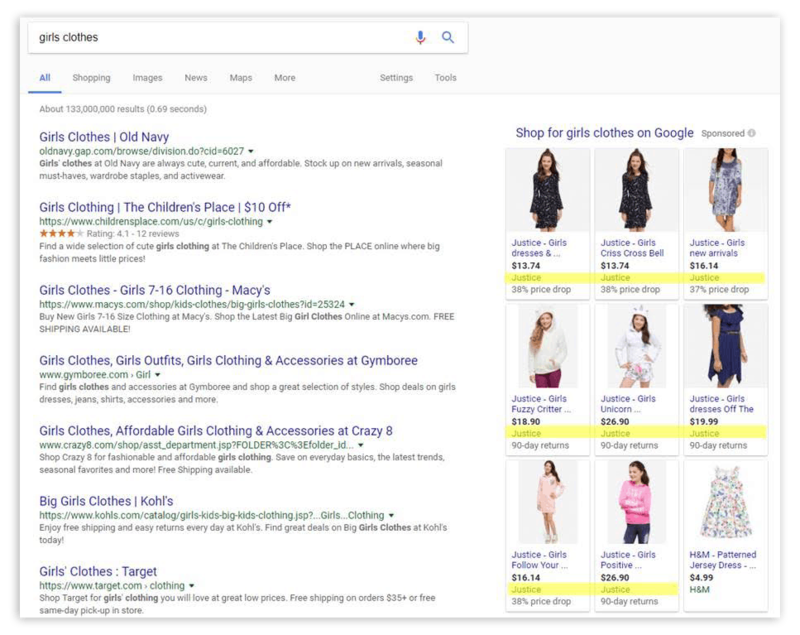 SSCs effectively merge Google Shopping campaigns with Google Responsive Remarketing ads, opening up the reach of your Google Shopping ads to not just the Search Network, but the Display Network, YouTube, and even Gmail, all in one campaign. How Smart Shopping Campaigns Work? With SSCs, Google is taking all the performance, targeting, and decision making into their automated systems. Back when Google made Shopping into a paid platform, they had the vision that their AI would figure out how to serve the most relevant content to users. They decided they wanted companies to bid on products instead of keywords for Shopping. Google’s AI would sort out which keywords would trigger an ad. This was a seismic shift in the search ad world. Every strategy to that point had revolved around the search term. Eliminating search terms was a big deal. There was certainly some hand wringing from the executives at that decision, so Google built a non-obvious back door into the platform to allow for the targeting of keywords using campaign priorities and negative keywords. Smart marketers quickly found this back door and have been using it to gain more control over results for brand and generic keyword terms. We use this for almost all of our clients to dominate results for select terms. With SSCs, Google is trying to yank that control away from brand marketers. Too many of us have found the back door and are using it to advance brand goals. Google is fond of give and take, so they are giving an awesome thing in return – remarketing based on signals from search. This remarketing could work really well, but the bargain is that you have to give up 100% of control over your products to Google. No individual bids, no search term reports, no negative keywords, no control over remarketing creative. Attribution Issue – You can’t even see how much is actually shopping (new customers) vs remarketing. Are people okay with this? Many firms give remarketing sales a haircut because they either don’t believe or don’t trust the attribution. Launching a new product – There is no way to bid it up over your other products without a lot of work around. Inventory control – If I want to burn through some inventory, I can’t make that product more prominent. Combating competition – If I need to defend a product from undercutting competitors, I can’t boost it. There is no way to expand on your non-brand terms to break through. Negative controls – Google has taken away the use of negative terms. If I have a product that a customer could get confused about, I can’t use negatives to stop that trigger. Tough luck for retailers that have agreements with their manufacturer partners to not advertise for certain terms. No feedback loop – If I don’t know the search terms my customers are using, how do I know my customer? For most businesses, Google Shopping and Google Remarketing serve two very different purposes. Google Remarketing does a great job allowing you to reengage your customers and bring them back to your site to purchase, whereas Google Shopping is a tool for capitalizing on your brand equity and driving new customer acquisition. By merging these two channels together and leaving the decision making to Google’s automated systems, advertisers lose a tremendous amount of control over where to invest, when to invest, and where the biggest impact can be made. An eCommerce marketing strategy has multiple goals – acquire new customers, improve customer experience, grow brand awareness, and do so profitably. So while SSCs may be able to optimize to sales, leads, or traffic, they come up a few cents short of a dollar in terms of delivering what a retailer needs to achieve from their paid search efforts. Our plan is to do some testing with SSCs vs separate Shopping + Remarketing campaigns to better determine whether there is real value being added by this campaign type, or if Shopping numbers are getting juiced by remarketing attribution. Questions? Check back with us – feel free to reach out to sales@conversionpath.com to discuss more! Google Responsive Display Ads – How they really work. 4 Format Remarketing.